Oviposition is likely to occur on gentians. But Gentiana cruciata lacks at the Austrian sites in these altitudes. Thus other species like Gentiana campestris, G. pannonica or G. asclepiadea should be the host plants for the first instars. Later instars should live in ant nests as usual in this group. Maculinea rebeli inhabits motsly only small-scale habitats in Alpine and Subalpine limestone grasslands between approximately 1500 and 2100m asl. Maculinea rebeli flies usually from late June to early or mid-July in a single generation. 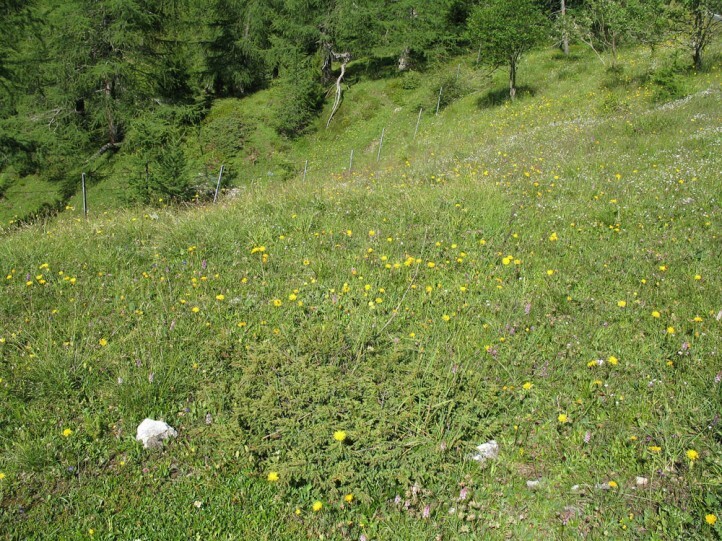 I observed some males in the Austrian Nockberge in the Subalpine stage. 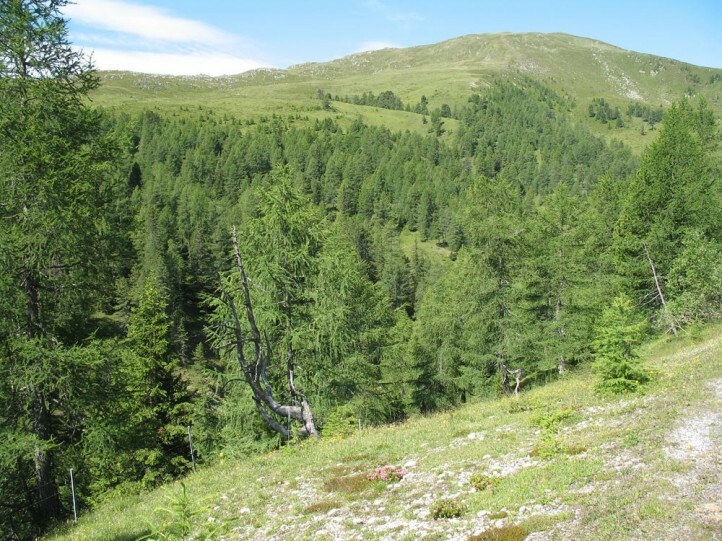 The mostly small-scale habitats are easily destroyed by afforestation/reforestation and overgrazing (trampling). According to actual knowledge the taxon occurs in the northeastern Alps (Austria) on limestone. But it might be distributed also elsewhere because little is known about the forms of the SE Alps and the Balkans. The dry habitat forms on Gentiana cruciata which have been thought as belonging to Maculinea rebeli are nowadays assigned to Maculinea alcon. Please compare Maculinea alcon species portrait for further information. But there is still a lot of research to do, especially on the preimaginal stages. 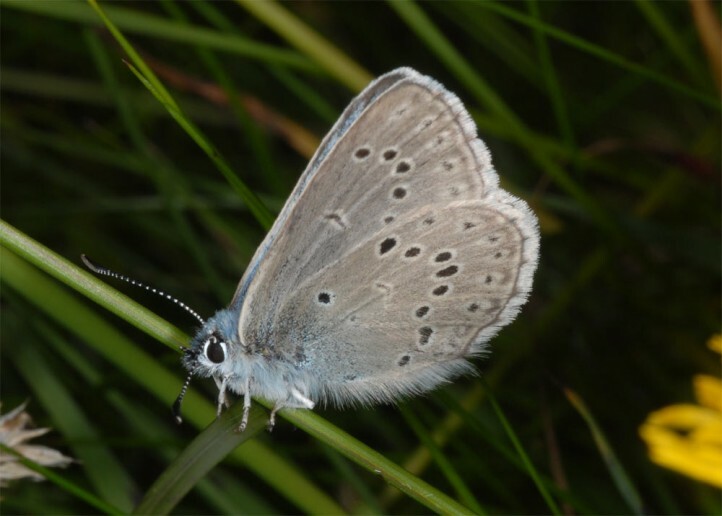 Habeler, Heinz (2008): Die subalpin-alpinen Lebensräume des Bläulings Maculinea rebeli (HIRSCHKE, 1904) in den Ostalpen (Lepidoptera, Lycaenidae).- Joannea Zoologie 10: 143-164.